M.E.C.’s miniature attenuator pads feature ultra-flat frequency response and very low VSWR bundled into extremely short flange-size packages. Typical attenuation flatness over the full waveguide band is ±0.2 dB (±0.3 dB max. ), with typical VSWR of 1.10:1 (1.15:1 maximum). These compact units are available in 1 dB steps from 1 to 10 dB and are ideal for inclusion in systems where length is critical. These parts have aluminum housings, are chromate conversion finished per MIL-C-5541, Class 3, and painted with gray epoxy enamel on external, non-mating surfaces. (1) To specify desired attenuation, add suffix to the model number. EXAMPLE: A60 S-3 specifies a 3 dB attenuator in WR28 waveguide operating from 26.5 to 40 GHz. 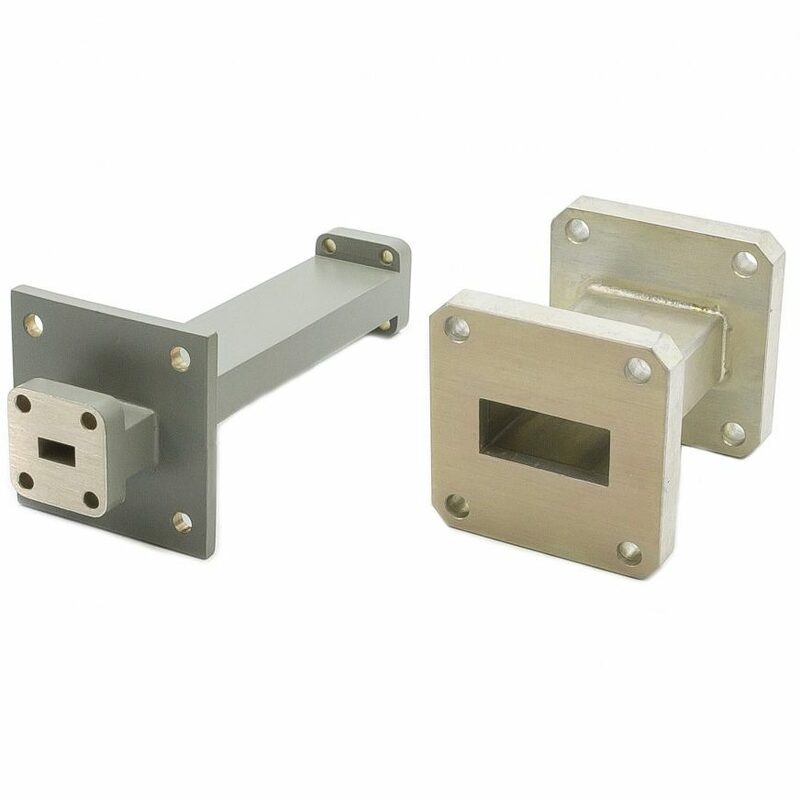 (2) Special attenuation values and other waveguide sizes are available upon request. All customer designs are welcome.